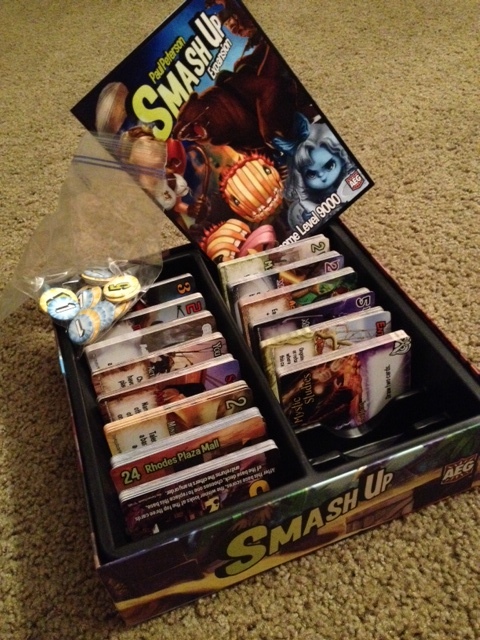 Let me just go ahead and say that this expansion is a MUST for Smash Up lovers out there. If you enjoyed the base game, you will enjoy these great new faction additions and the very much needed point tokens. You can see my original review and first impressions of the base game here. Honestly, one of my greatest criticisms of the base game was the fact that you needed a pen/pencil and paper to keep track of score. 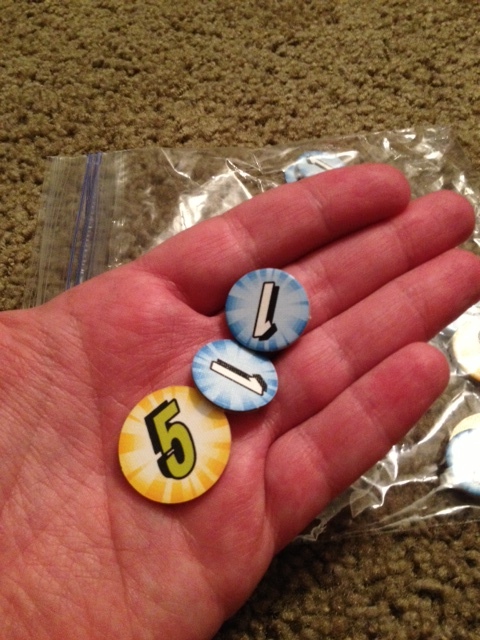 A HUGE thank you and SHOUT OUT to AEG for making this review possible and for providing us all with these simple and yet very useful point tokens! The gamers spoke, and you listened. I appreciate that greatly. Ok, so besides the awesome point tokens to keep track of score, what else is new? Ghosts, Killer Plants, Steampunks, and Bears! Also, some of the minion cards now have a "Talent" which enables them to perform that specific talent every turn. 4 new factions, each with 20 cards built up of minions and action cards. There are 8 new base cards (2 base cards specifically designed to help each faction) and they have included re-prints of the base cards from the base game (I really couldn't tell a big difference, but it is nice to have back up cards handy and the font size is slightly larger). Since the original base game included a tray that holds all of these cards and has room to spare, it is nice to be able to just transfer all the new stuff into the original game box. Oh, and there is of course a new rule book too. For those maybe not familiar with the general idea of game play, it is really simple. Play 1 minion and 1 action in either order. You can play less if you want to (and some cards will allow extra). Follow all instructions on card abilities as you play them. Check to see whether any bases can be scored (and score them). Draw 2 cards. Discard down to a hand of 10 if necessary. Bases are how you get points and where you play all of your minions and sometimes actions etc. Bases get scored when the sum of all of the minion power equals or exceeds the amount on that base. 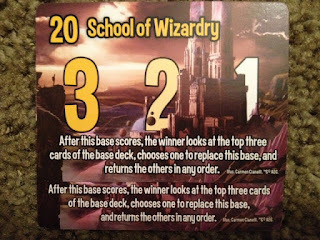 Players then score points according to the base for 1st place, 2nd place, and 3rd place. You play until someone has or exceeds 15 victory points. Bear Cavalry - The bear cavalry has arrived, and you should be scared if you aren't already. General Ivan pulling out a power of 6 and the ongoing ability that your minions cannot be destroyed. Pretty awesome. The bears also scare other minions away from bases or inhibit their power or destroy minions moving to their base. The one base I enjoy from the bear calvary is the base that does not allow lower powered minions to be played there. Make sure to tie up your food when you try and go camping in their neck of the woods. Killer Plants - Anyone ever watch the show "Little Shop of Horrors"? If you haven't, check it out. It is a morbid kind of fun. The Venus Man Trap reminds me of that show. I even had a venus fly trap for a time (pretty awesome plants). Anyway, the killer plants can grow pretty fearsome if they are left unchecked just like any bad weed. 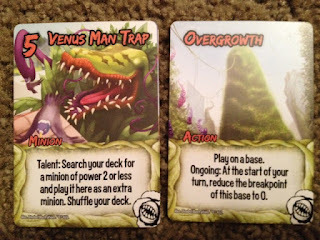 They did a nice job with this deck and playing with that idea of plants duplicating and growing stronger over time etc. Well done. 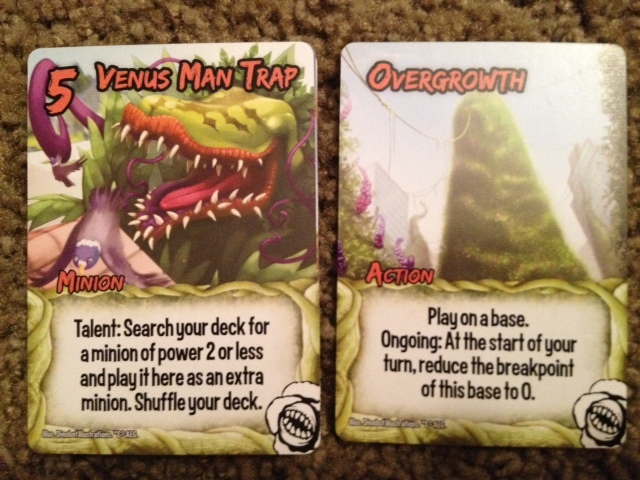 Also, check out the "Overgrowth" Action card - scoring a base early like this could be pretty significant. Ghosts - OK. Seriously, now can you imagine combining Ghosts and Zombies? What a great themed deck all the way there. Not a fan of horror movies myself, but this deck is really intriguing. The Ghosts become more useful or powerful if you have fewer cards in your hand. 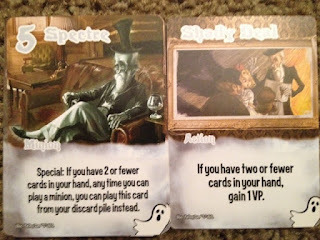 I mean, just check out these two cards! The "king" of this deck you can actually pull out of your discard pile if you have 2 or fewer cards, and the action card "Shady Deal" allows you to gain 1 VP. That could be the difference between victory and just second place. I could definitely see some great possibilities with these cards, but they may be a bit challenging to play with. I'm always up for a great challenge. Steampunks - I haven't had too much familiarity with the "steampunk" genre of things, but pretty cool stuff. These cards are action driven and with the "Captain Ahab" strutting his Talent of moving around, you would think he was a type of pirate or something. When we played, one player had steampunks and wizards. A pretty nice combo if you ask me with all of the actions being played. 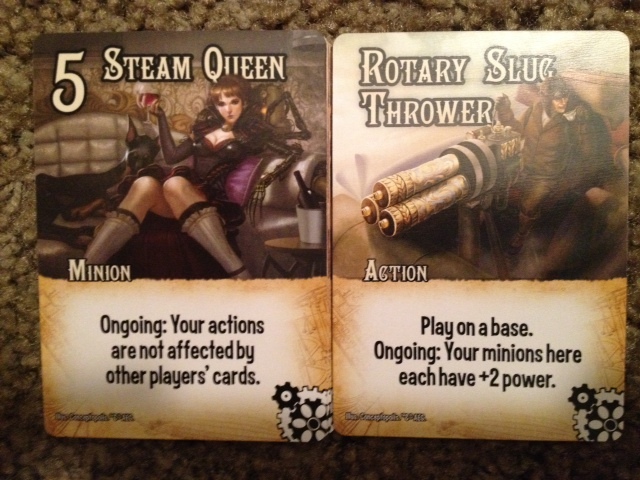 The action cards can make the bases with their "upgrades" pretty deadly for those willing to face the steampunks. If you get the "Steam Queen" out and have your action cards protected - watch out Smash Up world. In conclusion, this expansion is indeed awesome. The new factions are great, the new and improved (or back up) base cards, and the simple victory tokens are well worth purchasing this expansion. Not to mention the great replay value as our possible combinations increase as well as the fun factor. 3 Fingers up, or 8 out of 10 stars for this expansion and that is How Lou Sees It!